I couldn't believe my eyes seeing Filipino leather brand McJim being immortalized in shots made and done in Montreal, Canada. It's the largest municipality in Quebec Province which is home to a mix of communities of French Canadians, Brits, Asians and natives. The achitecture is a mix of gothic, bohemian, modern, industrial and even pop. They have 4 seasons and gets to extremes during summer and winter. They also got it's name from Mount Royal which sits nearby. It's population is around 6 Million and was the center of commerce up until the 70's wherein Toronto had surpassed them. Their style is primarily urban, yet very classic, very stylish and is dictated mostly by the climate, but they never forget to be fashionable all year round and this is where McJim comes in the picture. These were done by Models LCP, a North American based male modeling agency. 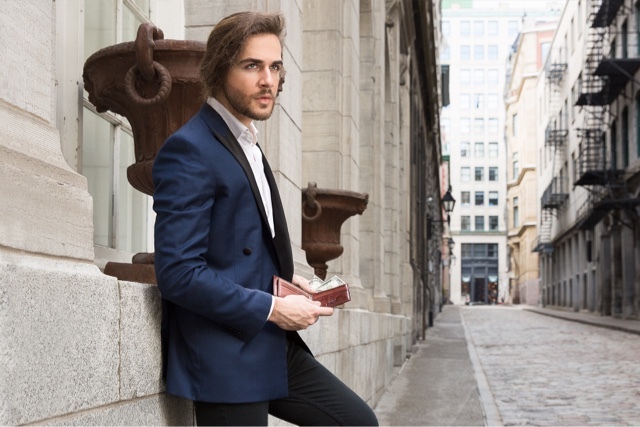 With a location like the cobblestone streets of Old Montreal, it just looked so good on photos. 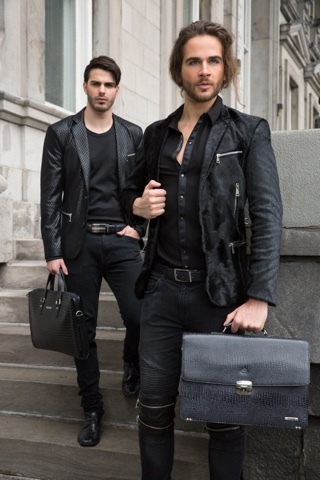 McJim specializes in quality classic leather, as it now stands, their wallets just looked phenomenal on these guys even if they are caucasians. Proving to most that classics can never go wrong no matter what place in the world you may be. 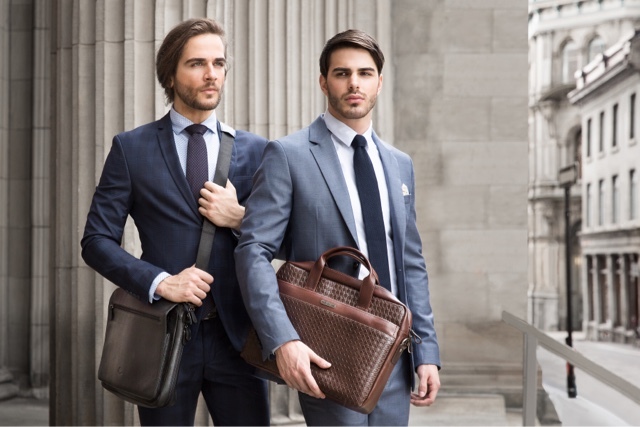 I owned one of these man bags and with a good suit, you'll be definitely turning heads in formal or office locations. Messenger bags on a light day if you want to carry around a laptop and a few files. 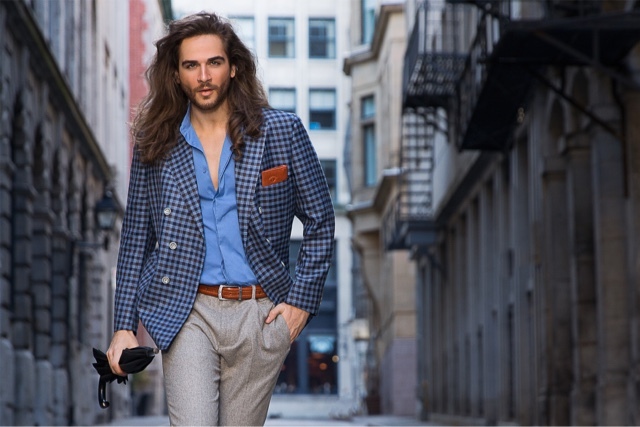 You can work in style and go out on a date in the evenings, it looks good on you any time of the day. I prefer long wallets like these especially because I have a lot of cards to keep. Now you can have them in one place with your money neatly placed inside. You don't have to be too rough around the edges. A staple for every man, a good belt. Don't pull those pants each time you walk and just make your look extra snappy. It's going to make your assets stand out too at the back, ladies love that. For business, casual, work and play, McJim can always fit your wardrobe. Make these leather items an essential part of your everyday wear and you won't get wrong. 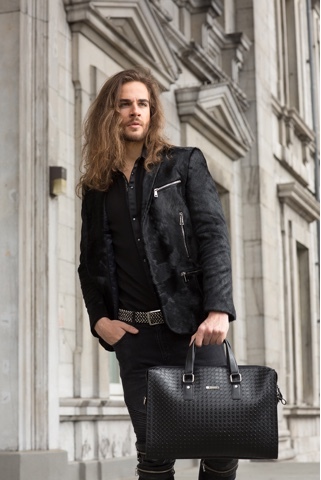 Thanks to photographer Nick Merzetti who shoots Toronto Fashion Week for immortalizing these photos. It looks so genuinely stylish and classy. Congratulations McJim!